The Twin Cities Regional Sailing Association (TCRSA) is a regional sailing association organized under the leadership of US Sailing. Twin Cities Regional Sailing Association is made up of member sailing organizations and individual sailors in the Twin Cities of Minneapolis and St. Paul as well as surrounding areas in Minnesota, Iowa, North Dakota, South Dakota, and Wisconsin. All new Members will receive a burgee window decal. Supporting Members receive two (one for the car and one for the boat). Sponsoring Members will receive a high quality stitched burgee flag. Benefactor Members will receive both the window decal and flag. Membership dues are purposefully low, so that all sailors can be members of the TCRSA. Membership levels include: Youth ($5.00), Individual ($10.00), Family ($15.00), Yacht Club ($50), Supporter ($100.00), Sponsor ($150.00), and Benefactor ($200.00). 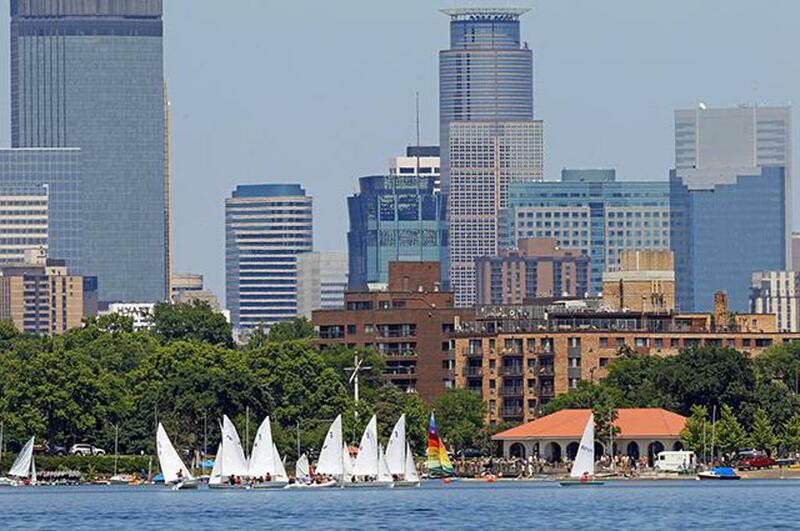 Already a member of Twin Cities Regional Sailing Association? 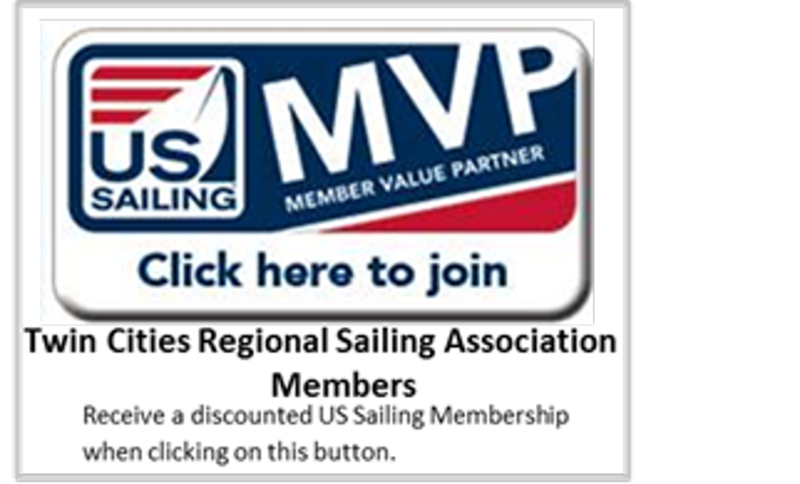 Click here to join US Sailing as an MVP member, and receive your TCRSA discount. ©2019 Twin Cities Regional Sailing Association / SportsEngine. All Rights Reserved.